Businessmen / Women, Executive Professionals and Federal Employees can now receive top quality Drug and Alcohol Treatment at Scottsdale Recovery Center. Addiction affects every creed, religion, race, age, ethnicity as well as class. It doesn’t matter if you’re a lawyer or a doctor, an employee of a Fortune 500 Company; Addiction doesn’t discriminate. With that being said, we understand the demands that are set on executives who are trying to get their lives together and are attempting to be “functioning drug addicts and alcoholics” in the workplace. It doesn’t work! Scottsdale Recovery Center specializes in many types of treatment programs, one of them being executive type treatment for professionals and Federal Employees who need to focus on the underlying factors of addiction; why did you start using or drinking in the first place? We help you realize what your initial and ongoing triggers are and we use specific treatment modalities to help you conquer these triggers and move on from them FOR GOOD! – Upscale and Private Residential Inpatient Recovery Centers (beautiful homes) where anonymity and confidentiality are paramount. – EMDR Trauma focused treatment modalities to address and conquer any childhood abuse, childhood traumas, adult traumatic events, grief and loss issues and depression. Specifically we utilize EMDR – Eye Movement Desensitization and Reprocessing. EMDR is an integrative psychotherapy approach that has been extensively researched and proven effective for the treatment of trauma. EMDR is a set of standardized protocols that incorporates elements from many different treatment approaches. To date, EMDR therapy has helped millions of people of all ages relieve many types of psychological stress. EMDR therapists are very hard to find; Scottsdale Recovery Center employs four of the States top EMDR Therapists. – Access to laptops, phones, computers, printers, fax, scanners, etc to handle any business issues that may arise when your in treatment. We suggest clients have limited access to the outside world so they may focus on their treatment, but for the executives and Federal Employees, we understand the demands to appease your employers and stay on top of your workflow so you may re-enter the workplace fresh, caught up and rejuvenated. Executives in the workplace are faced with all different levels of stress and burden. Confronted with high expectations, pressures, clients and deadlines, it is understandable why many executives end up abusing alcohol and drugs. Some professionals may even face addictions stemming from personal life that have nothing to do with their careers, but they still require quality professional treatment nonetheless. 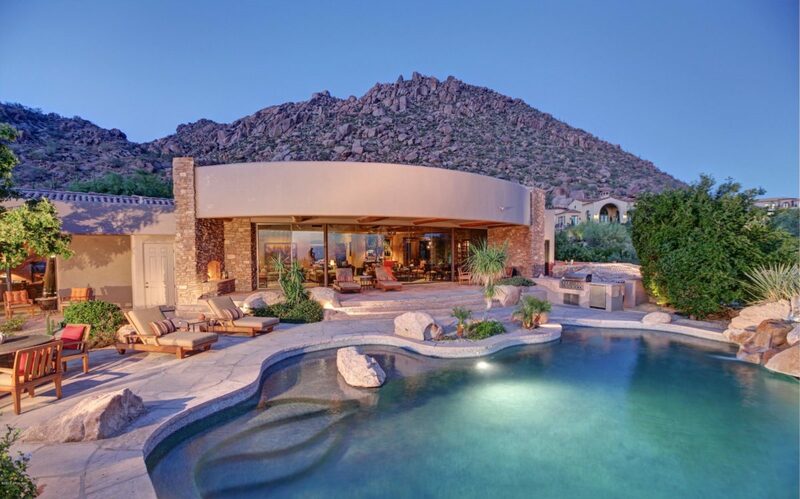 Scottsdale Recovery Center has an exclusive health program for the busy executive. This program allows executives to get help for their addictions in an attractive, nontoxic, and restful atmosphere without having to take time away from their careers or businesses. Call Scottsdale Recovery Center today and don’t let work be a hindrance to your sobriety any longer! We work with all companies’ EAP in a discreet and professional manner. Addiction is a disease, and you cannot be victimized nor discriminated against, in your workplace, for trying to better yourself and get sober! We can help you with this entire process.